Advance Platforms are an established family run level access hire company located in Swansea. 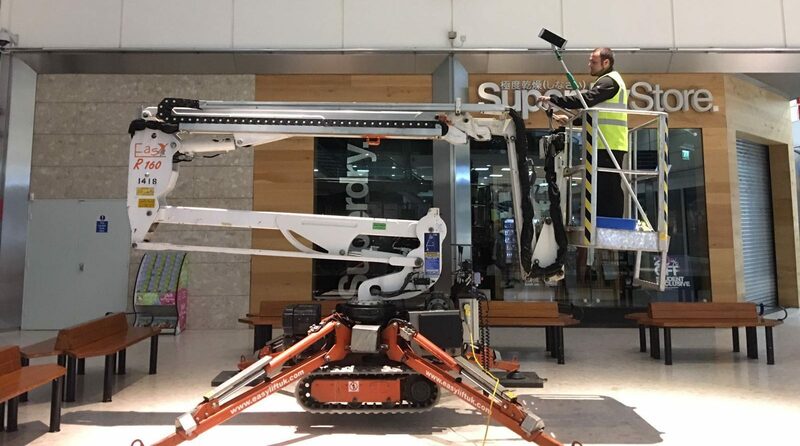 Specialising in spider lifts and cherry picker hire we have the solution for a wide range of circumstances. We offer a FREE delivery and collection service throughout South Wales and West. Hire is available to both the trade and the public. We work with a broad spectrum of clientele such as: facility management companies, roofers, tree surgeons, local authorities and construction companies. Whether you require high level access for indoor or outdoor use, a one off emergency or regular rental, we will have something to suit. View our gallery to see some of our machines in action. When selecting a cherry picker/hire level access contractor it’s important to ensure they have all the relevant insurances, paperwork, training and servicing with their equipment. Rest assured we are meticulous when it comes to health &amp; safety and ensuring our machines are in top shape. You can have complete peace of mind when dealing with Advance. We are extremely competitively priced, without compromising on quality. We will not be beaten on price and service. You can opt to hire our machines with one of our highly trained IPAF operators or your own operator. Areas we cover include but not excluded to: Swansea, Carmarthen, Bridgend, Cardiff, Newport, Rhondda Cynon Taf, Vale of Glamorgan and surrounding areas. For a no obligation quotation use the form below and we'll get back to you as soon as possible.